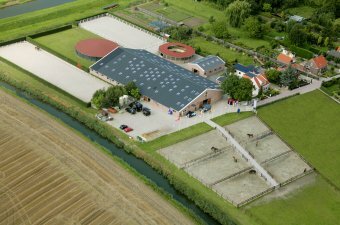 President Dressage Stables is located in Stad a/h Haringvliet which is near Rotterdam (the Netherlands). This high class stables has a spacious indoor arena, several outdoor arena’s, a galloping track, spacious and light stables, a treadmill, a covered lunging circle, several wash places with solarium and many fields. Horse welfare is very important at the President Dressage Stables!